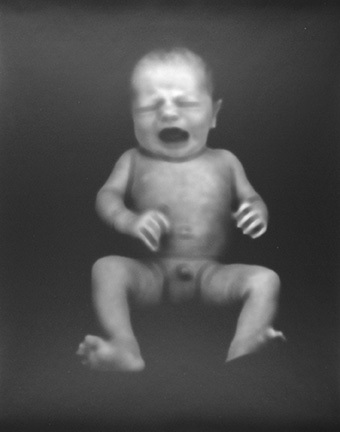 Baby #1, from "Series 5"
Over the course of the 20th century, the dominant currents in the field of photography have conditioned us to expect clarity and detail in the photographs we come across. Modernist photographers, in the first half of the century, argued that the medium's value rested in part its ability to accurately and meticulously depict a surface, and to an extent this belief continues to inform the practices of making and looking at photographs. Nevertheless, there has also been an alternate trajectory throughout photography's history, in which artists have explored the potential of un-sharp or even nebulous-seeming images. 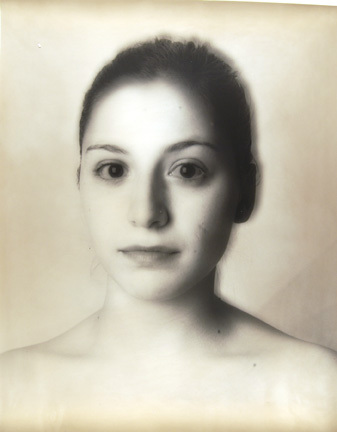 At the turn of the twentieth century, for example, pictorialist photographers used soft focus lenses to imbue their work with a painterly quality, while contemporary practitioners like Bill Jacobson have used diffusion techniques to create ethereal pictures or prismatic effects. Robert Stivers is also working along this path. His photographs are characterized by their indistinctness, the sensation that you're looking at something with unexpectedly impaired vision. 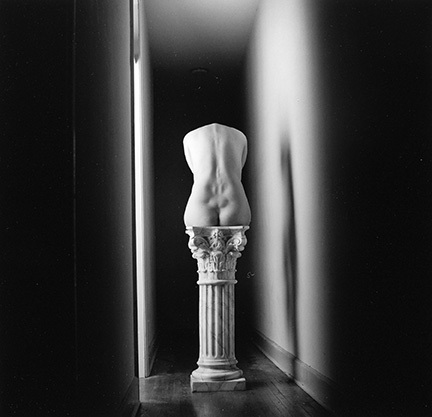 Stivers photographs nudes, faces, landscapes, and existing works of art, among other subjects, using soft focus techniques, vignetting, or motion blurs, and he labors in the darkroom to enhance these effects. In certain photographs, bodies or objects appear in a dark, deep space as if engulfed in an endless void. In other examples, blurring causes the distinction between foreground and background to dissolve. Yet, while Stivers creates a scenario in which vision is destabilized, calling attention to the act seeing, his work is not simply a meditation on the vagaries of perception or a self-referential comment on the operations of photography. His meticulously printed works provoke a sensual response as much as a visual or intellectual one. As A.D. Coleman wrote in Stiver's 1997 monograph, "One cannot simply see one's way across these pictures; one must think and feel one's way into, around and through them all but blindly… They demand the application of a whole-body consciousness, a confidence in one's own sense of balance and trust in one's ability to read fragmentary, partially glimpsed gestures." The imagery in Stivers's photographs varies, but underlying his work as a whole are themes of spirituality and anxiety. Related to these underlying concerns, Stivers remarks that the photographs mirror his own process of self-transformation and re-creation. He began his career as a dancer and a choreographer, but a back injury in the early 1980s brought an end to those ambitions. After working as a stockbroker for a few unhappy years, he began to make photographs in 1988. Reevaluating his life and starting anew, Stivers embraced photography, making work that mirrors, in his words, "[a] personal search for a more philosophical and spiritual surrender." Stivers completed a B.A. at the University of California, Irvine (1976), and an M.A. at New York University (1980). 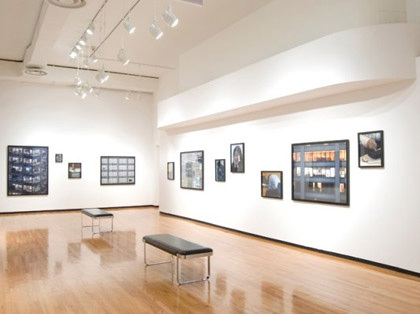 His work has been exhibited internationally, including solo exhibitions at OMC, Düsseldorf, Germany (2001); Catherine Edelman Gallery, Chicago, IL (2000); The Museum of Fine Arts (now The New Mexico Museum of Art), Santa Fe, NM (1997); and Schneider Gallery, Chicago, IL (1994). His work is held in the collections of the Bibliothèque Nationale, Paris, France; Brooklyn Museum of Art, NY; Center for Creative Photography, Tucson, AZ; George Eastman House, Rochester, NY; the Metropolitan Museum of Art, New York, NY; and the Victoria and Albert Museum, London, UK, among others.